Blepharitis is an inflammation, or dandruff of the eyelids and eyelashes. It can make eyelids and eyelashes red and crusty, making your eyes feel irritated or itchy. It can lead to soreness, and a burning or stinging sensation in your eyes. You may also find your eyelids become puffy. Symptoms are often worse in the morning, and you may find you wake up with your eyelids stuck together. Blepharitis can be uncomfortable, but it rarely causes any serious long-term eye damage. 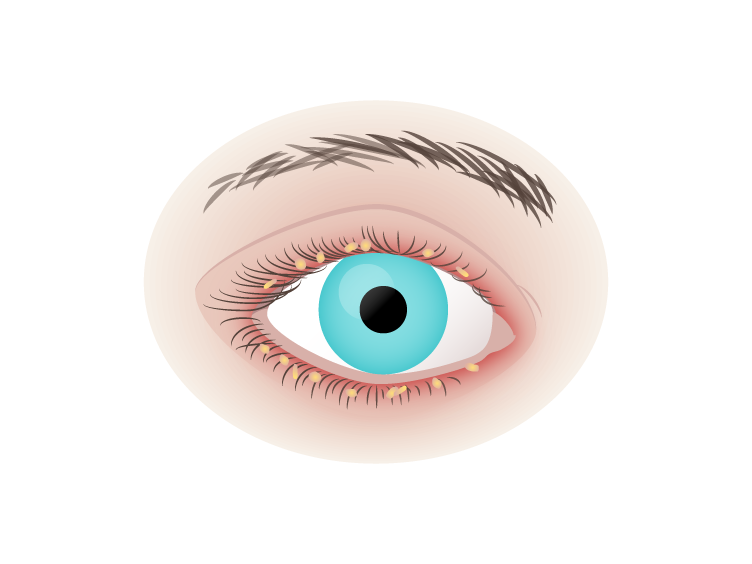 Blepharitis can be related to other skin conditions, such as dry skin, eczema, and rosacea. Will Blepharitis affect my vision? Blurry vision is not usually the chief complaint in those with blepharitis. However, clear vision requires a clear cornea (the window that lets light inside the eye), and a healthy tear film. Blepharitis can cause problems with the tear film on the eye, which can in turn cause blurring. It can also cause secondary irritations of the cornea, which can also affect vision in some cases. In the past, it was advised that a solution of baby shampoo should be administered to the affected area, however any detergents will break down the delicate lipid layer of the tear film and can lead to dry eye problems. 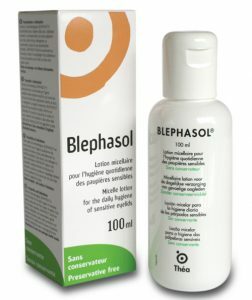 Today we advise that sufferers of the condition use a product specifically designed for the treatment and management of blepharitis. These products do not contain any detergent, and do not affect the delicate nature of the tear film. Warm compress using a warm flannel, or wheat bag which can be gently heated in the microwave. Blepharitis is a chronic (long-term) condition. This means that once you have had it, it can come back, even after it has cleared up. It normally affects both eyes and you may need treatment for several months. However keeping it under control is key, as this will prevent it from flaring up and becoming infected. Our fully qualified optometrists will closely monitor your blepharitis and even take photographs to document the progression of the condition, as part of our enhanced eye examination option. Your optometrist will then carry out a further examination, if needed, around 4-6 weeks after diagnosis, to monitor and offer you support and continuous care with the management of blepharitis. We supply a range of products that can help with lid hygiene and these should be used regularly to help prevent blepharitis flaring up again.